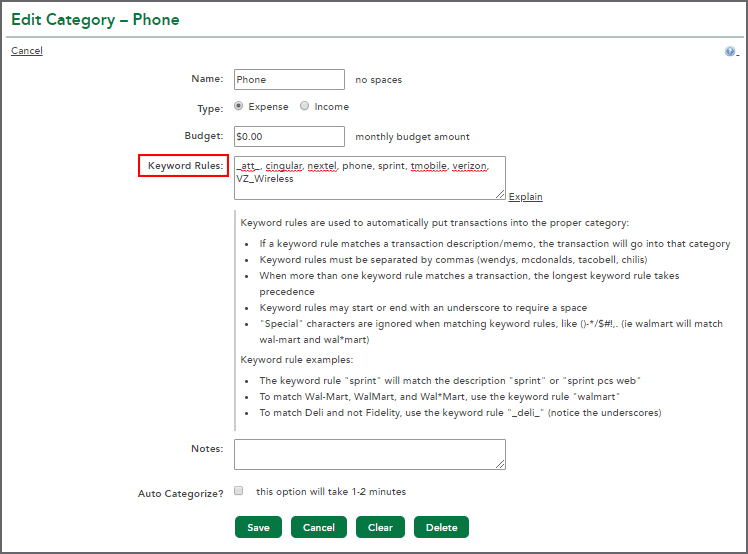 You can change the category on transactions for a merchant by adding keyword rules to the category within the Budget Tools. 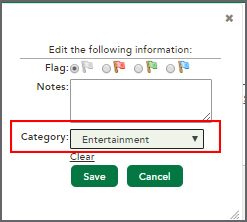 Under the Categories page, click on the 'edit' button to the left of the category name you wish to update. On the next screen, you may enter keyword rules that include the name of the merchant. Save your changes. These category changes will not apply to any past transactions. It should apply your changes to the merchant category for all future transactions. Check the category display for that merchant under the Transaction History (see example below). If you do not see the correct category you may need to adjust the keywords. Note: If you would like to change an individual transaction category click on 'edit' to the left of the transaction within the Transaction History page. The edit information pop-up box will appear and allow you to choose from a list of categories (see example below).